The Park City art scene is bursting with new exhibitions and artists offering a plethora of sculpture, paintings, and mixed media. This winter explore the galleries of Main Street and beyond for exquisite works of art and dynamic new artists. From photography to handcrafted sculpture and innovative mixed media works, Park City is undoubtedly an art oasis. Join the Park City Gallery Association’s Gallery Stroll on the last Friday of each month from 6 to 9 p.m. to enjoy this vibrant art scene. As a leader in the Park City gallery scene, Julie Nester Gallery will present vivid and exciting new exhibitions for this winter with new works by artists Teresa Kalnoskas, Erik Gonzales, Jeff Cohen, and Brad Overton. Located in a renovated, spacious warehouse in the Iron Horse District, the gallery’s high ceilings and large walls showcase large- and small-scale work. From December 27 through January 28, the gallery will show abstract still life paintings in the “Teresa Kalnoskas Solo Show” with an opening reception December 27 from 5:30 to 8 p.m. Using oil paints combined with alkyds and wax, Kalnoskas layers, glazes, draws, and scratches into the surface of the paintings to create vibrant images, which are rich and lush. An “Erik Gonzales Solo Show” will take place January 31 through February 25 with an opening reception January 31 from 5:30 to 8 p.m. Gonzales’ abstract paintings are inspired by ancient frescoed walls. He builds layer upon layer and, at times, removes paint to expose what once lay beneath—creating surfaces that are cracked, layered, and time-worn. 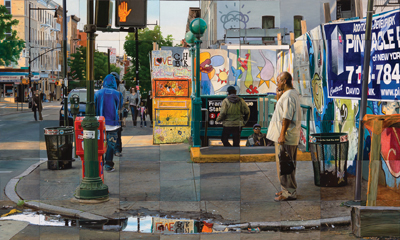 “Realism: Jeff Cohen and Brad Overton” will open on February 28 with a reception from 5:30 to 8 p.m. This exhibition brings together two established realist painters, Jeff Cohen and Salt Lake City’s Brad Overton. Julie Nester Gallery specializes in contemporary art and represents a number of emerging, mid-career, and established artists from around the United States. Gallery MAR’s winter exhibition receptions begin at 6 p.m. and include illuminating artist chats. “Yonder” with new works by Bridgette Meinhold, Warren Neary, and Andrzej Skorut will open on November 29. Working in a variety of media, from encaustic to oil paint, these artists will present views of the West’s mountaintop vistas, valleys, and peaks. A local Utahan, Meinhold sees her art as an expression of the beauty that she finds in the world. Neary finds the exploration of subtle or dramatic light, color, and design exhilarating. For Skorut, using the landscape as a filter enables the artist to bring to his paintings anything and everything that excites him, whether this is a new combination of colors, composition, or the inter-relationship between many different aspects of the painting. “Surface + Strata,” a two-person exhibition with Maura Allen and Nina Tichava, will open December 20. 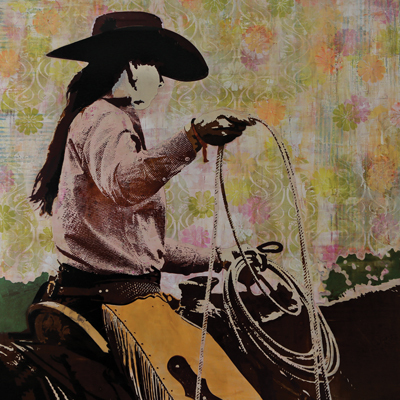 This new exhibition features two very talented artists inspired by interwoven textures, layered prints, and the colors of the West. “Wonderland” an Amy Ringholz solo exhibition will open January 17. Ringholz will bring her new mixed-media works to Gallery MAR for the first night of the Sundance Film Festival. The artist will be in attendance with an Art Talk at 7 p.m. “Second Wind” with Michael Kessler and Shawna Moore is a two-person exhibition opening February 7. Kessler’s acrylic paintings are inspired by the land, by nature, and by our human movement on Earth. “While I was Out Walking” featuring new works by Matt Flint will open February 28. This new series of paintings is based on the connections we make with nature, if only briefly, that leave a lasting and sometimes haunting impression. “Of the Earth” will present new works by Ron Russon and Jared Davis on March 21. View new paintings by local favorite Russon and a new series of blown glass sculptures by Colorado-based Davis. Thomas Anthony Gallery features wood sculpture works by Ted Knight and will host a reception on February 14 from 5 to 8 p.m. with Knight in attendance. Knight makes his vessels from solid pieces of log sections that often weigh 600 pounds. The process—from the selection of the material to a finished vessel—can take two to five years. Knight has won prestigious awards in many juried shows and one-man exhibitions, and his work is collected all over the world. The results of Knight’s work are stunning objects of incredible form. 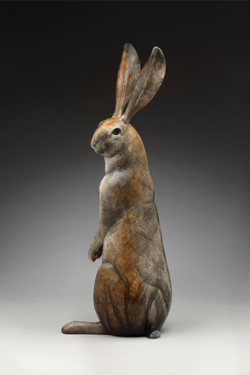 The gallery will also feature bronze wildlife sculpture by Joshua Tobey on February 28 and March 1 with receptions from 5 to 8 p.m. with Tobey in attendance. The bronze casting process is traditional “lost wax method,” and the process is lengthy where all sculptures start out as a clay study. Tobey’s bears, life-size and maquette-size, often show expressions of affection, surprise, and leisure. J Go Gallery will have its annual winter opening exhibition, “Winter Sol,” for the December Gallery Stroll on December 20. “Winter Sol” celebrates the upcoming winter season and new year with the unveiling of the gallery’s 2014 collection, which includes new work from each of J Go Gallery’s artists. In addition, the gallery will double its collection of Park City’s most unusual and stunning art jewelry collection, “Sparkle & Bling.” An exhibition, “SPARKLE” will open on December 27 when J GO Gallery turns into a giant jewelry box with special collections shipped in from all over the country. The talented and innovative “Sparkle & Bling” artists each send a unique group of new work for the show, which is also the debut of several new “Sparkle & Bling” artists. The gallery will celebrate with champagne and chocolate at the “Winter Sol” artist reception and SPARKLE jewelry event on December 27 from 6 to 9 p.m.
“James Georgopoulos, Icons of Cinema,” will open January 31 and promises to be an exciting exhibition of new photography. Georgopoulos “shoots” powerful portraits of guns used by famous actors in classic movies as well as classic film cameras. February 28, “Inception” will feature new artwork for J Go Gallery and Park City. Finally, on March 28 “Curtis Olson, New Work” will open. 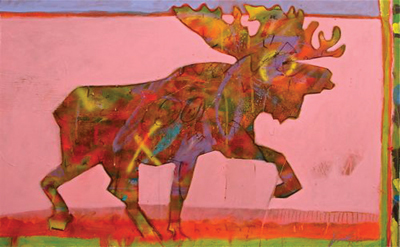 Olson has once again taken his love for the West and translated it into contemporary art using his unique texture, composition, and color compositions. 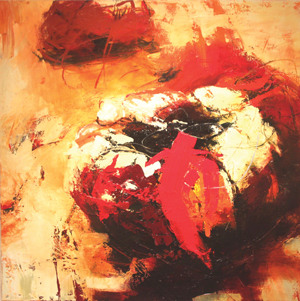 Terzian Galleries represents established and emerging artists with a contemporary spin. Located in the historic Bardsley Building in Old Town Park City, Terzian brings over 20 years of experience and eight years of being in business to the Park City art scene. The gallery prides itself in representing highly regarded artists from around the region. Terzian Galleries showcase a variety of mediums such as, oil paintings, glass, unique ceramic pieces, and wooden sculpture. Mountain Trails Gallery is situated in one of Park City’s most historic buildings, which was once a silver miner’s bank with the original tin ceiling, brick walls, and vault still in tact. The gallery represents renowned contemporary and western artists and features an eclectic mix of representational and impressionist paintings and sculpture as well as a broad selection of western artifact reproductions. A wide variety of subject matter shows including western, figurative, wildlife, still life, and landscapes. Located near the Town Lift, District Gallery exhibits traditional and contemporary art with emerging and established artists. Coda Gallery will feature works by artists Charley Snow, Patrick Kramer, Maria Zielinska, and Jen Harmon Allen. Snow lives in Utah in a small coal-mining town about 100 miles south of Salt Lake City. His paintings are in private collections from Massachusetts to California. Kramer was born in Kaysville, Utah, the youngest child of German immigrants. A perfectionist by nature, Kramer turned to art as an outlet for his obsessive personality, allowing him to focus on getting things “just right.” Born in Wadowice, Poland, Zielinska paints abstract works that are large and colorful expressions of simple happenings she notices in the world around her. She works from her studios in Park City and Poland. Allen is a Utah sculptor and installation artist whose subject matter is the human body with a psychological backstory. Enjoy the insight and talent of these Utah artists at Coda Gallery. McMillan Art Gallery celebrates its first year in Park City with photography that captures Mother Nature’s light through the use of large and medium format film cameras. As a signature Park City fine art photography gallery, McMillan is treasured by many patrons who have said, “You guys are the modern day Ansel Adams of color.” Visit McMillan Gallery for a large array of photographs and discover these stunning images for yourself. Hoffman Fine Arts presents original oil paintings, exotic antiques, fine interior design, and modern luxury machines in one place. Stop by to see a new concept gallery where it’s all about taste, elegance, and the unexpected beauty of pieces handpicked like gemstones. Thomas Kearns McCarthey Gallery is one of the foremost dealers of Russian Impressionistic art in the United States. The gallery maintains an extensive inventory of collectible works by Russia’s most respected artists working during the period of 1930 to 1980. Peruse the extensive collections at the Thomas Kearns McCarthey Gallery and discover another world. Old Town Gallery specializes in the work of the masters as well as today’s most popular, established, and up-and-coming artists. Enjoy new and old works at Old Town Gallery where recognizable art and new and unfamiliar art all exist together.